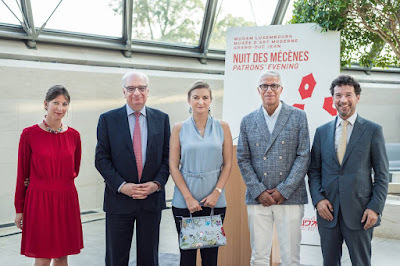 Last Tuesday, Hereditary Grand Duchess Stephanie attended the annual Patron's Evening at the MUDAM. This event is organized to thank patrons, sponsors and donors of the museum. Stephanie is a member of the museum's Board of Directors. The Hereditary Grand Duchess also welcomed Suzanne Cotter as the new General Director of the museum. More photos are available on the Facebook page of the museum.